Flash manufacturer Profoto has launched what it is describing as the fastest TTL monolight heads in the world. 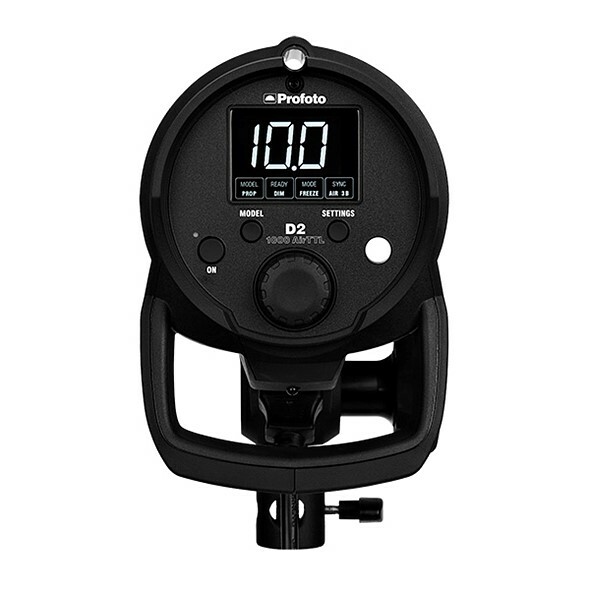 The Profoto D2 studio flash heads have a shortest output duration of 1/63,000sec, can run at a rate of 20 bursts per second and can sync with camera shutter speeds as short as 1/8000sec. The heads come in two output varieties, 500Ws and 1000Ws, with both featuring full TTL control for Nikon and Canon users via the company’s AirTTL 2.4GHz radio system. The heads can also be controlled in manual mode with 10 stops of output in 1/10th stop increments. The heads are available to order now, retailing for $2000/£1554 for the Profoto D2 1000Ws AirTTL Monolight and $1500/£1194 for the Profoto D2 500Ws AirTTL Monolight. For more information see the Profoto website. If flash duration is exceptionally fast, recycling time is equal to it. With the D2 you can shoot up to 20 flashes per second . That allows you to catch 20 versions of the same moment, and quite often that’s the difference between capturing a good image and a great image.